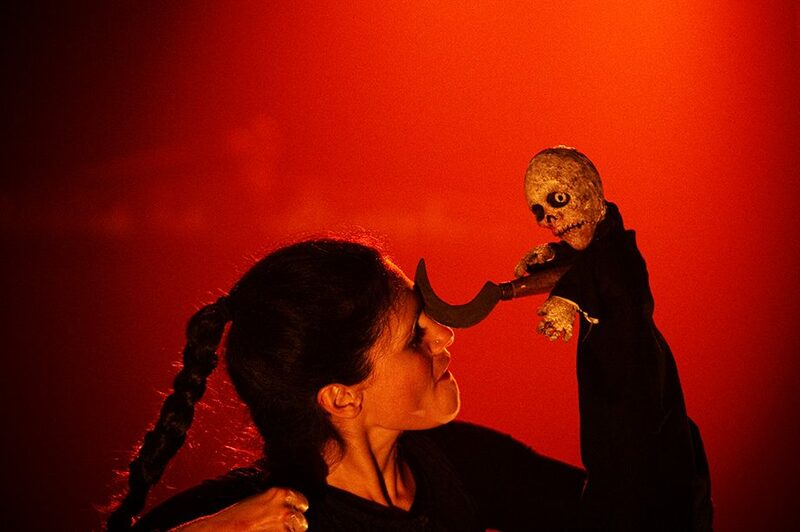 Saturday, March 9, 2019 8:30 p.m.
Sunday, March 10, 2019 1:30 p.m.
She is a puppeteer. He is a musician. 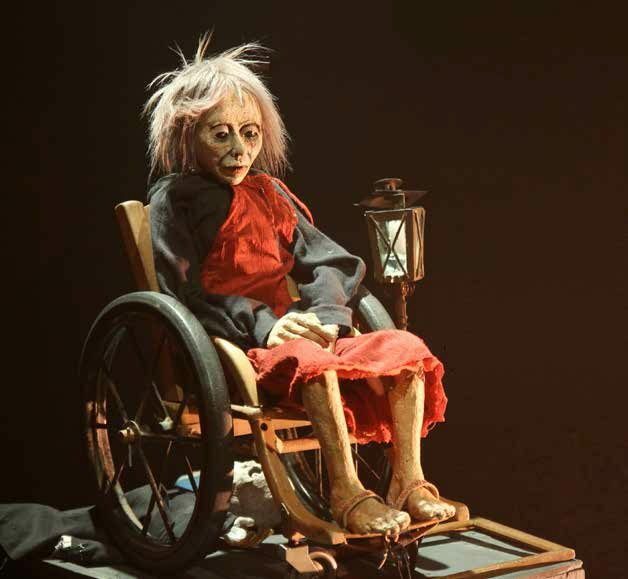 Life and death are played out in their nightclub as an old woman faces Death. The show begins with her final moments. Her time has come, and in order to postpone the inevitable, she presents a quick overview of her existence. The many transformations that make up a life are presented to the audience in a dynamic, exuberant, unusual and hallucinatory form. From cradle to grave, from childhood to love: there’s playfulness, acrobatics, images and fire: a giant, swirling kaleidoscope just before extinction. Moving between thresholds, we are guided and sit spellbound by three unlikely figures, the three Parcae that preside over our destinies: the one who spins the thread of life, the one who measures it and the one who cuts it. Three Parcae, three destinies, Tria Fata: where the puppet is revealed as a universal symbol of humanity. 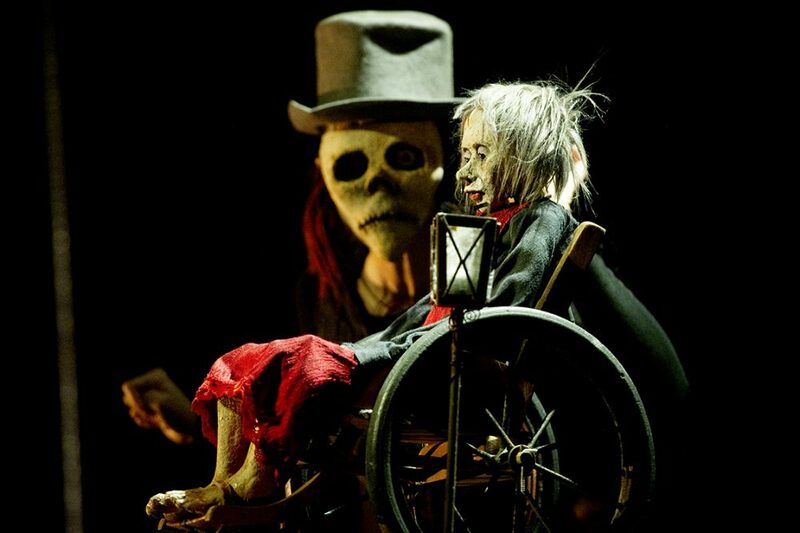 La Pendue, “compagnie de théâtre, marionnettes et métamorphoses sensibles” (theatre, puppets and sensitive metamorphoses) was created in 2003 by Estelle Charlier and Romuald Collinet, two former students of l’École supérieure nationale des arts de la marionnette (ESNAM) in Charleville-Mézières. La Pendue is managed by Théâtre de l’Homme Ridicule, and has built its workshop, athanor and rehearsal room in the mountains overlooking Grenoble, France. With support from: Conseil Général de l’Isère, SPEDIDAM, Ville de Winterthur (Switzerland), Théâtre du Temple (Saillans, France) La BatYsse (Pelussin, France) and Espace culturel La Buire (L’Horme, France), and the city of Grenoble’s sewing and construction workshops. Tria Fata wll also be presented at the International Festival of Animated Objects in Calgary. This tour is organized with the support of the SPEDIDAM, the Institut français, the French Consulate General in Québec City (Service de Coopération et d’Action culturelle) and the Canada Council for the Arts.